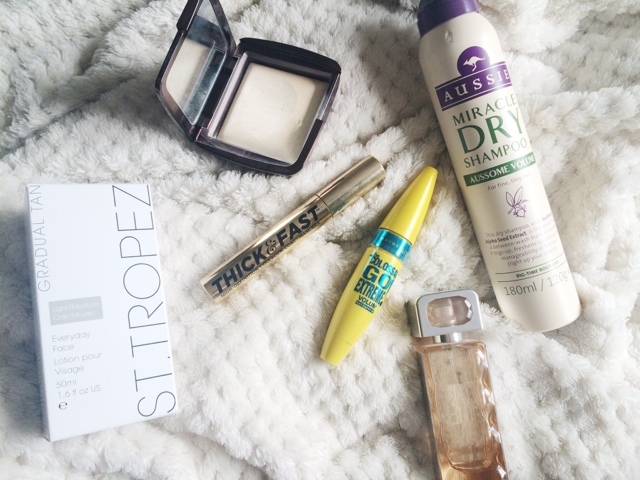 This week I have a few stand out products which I have used everyday and I'm absolutely loving them. First up is a mascara combo that has done amazing things to my lashes. The Soap & Glory Collagen Mascara & Maybelline Go Extreme Waterproof Mascara are just awesome. While the S&G one is working on the length and separation, the Maybelline is building up the volume and making everything look more defined and fluttery. I love this duo of mascaras and have used it every single day. Also for makeup is the Hourglass Ambient Lighting powder in Diffused Light. I have been using this to set my makeup to week and I have got back in to using it again. I must admit it's not something I have been reaching for until now but I've fallen back in love with it so had to give it a mention. Onto hair and the Aussie Aussome Volume Miracle Dry Shampoo was picked up whilst desperately looking for tmy favourite Tresemme dry shampoo which was no where to be seen. So I tried this one and I have been really liking it. I'm not a huge fan of the scent but this stuff really packs a punch in the volume and texture department. It also has some kind of hold in it as well so spraying too much can leave it sticking out (which isn't a good look) and feeling a tad crispy. But I love it and it's done aussome things for my hair. Get it? Aussome? I'm so funny. A fragrance I have been constantly wearing this week is the Hugo Boss Orange Perfume. This is one of my favourite perfumes ever. It smells incredible, it's got a reasonably good lasting power but it reminds me of summer and all things hot and sunny. Which is why I wear it all year round. This has just been the one I have gravitated towards more this week. Finally for beauty products is the skin, and the product I have loved using is the St Tropez Gradual Self Tanner for face. I exfoliate my skin everyday so this doesn't really get the chance to build up and to be honest I don't want it to build up too much, as the risk of looking like I've been tango'd is just not something I can deal with. This doesn't have a massive fake tan smell. It gives an even application with no noticeable streaks or blotchy-ness and is really good for my super pale skin. The flower one is one I am working on now for a friend at work. The original photos of these can be found online. 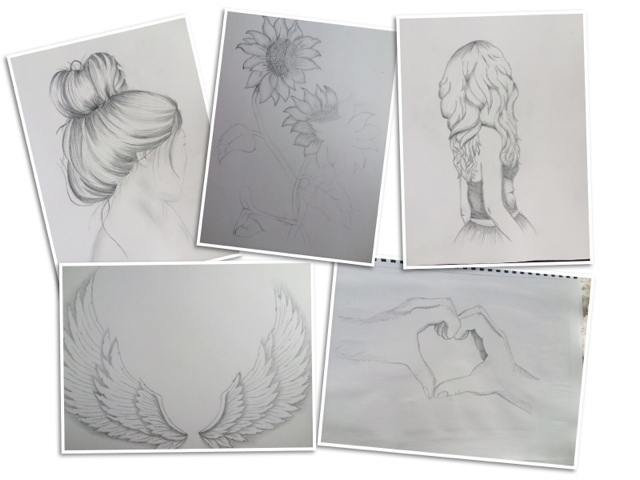 I just went on google and looked for some fairly easy drawings to do. Let me know which you like?